Do I really need to say more? 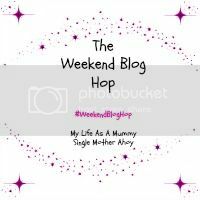 It wouldn't be much of a blog if I didn't though! My littlest, Sullivan, has autism and one of his calming techniques and deep interests is YouTube. He loves watching his favourite content creators, often watching the same videos each day to the point he can re-create and build on them in his own imaginative play away from screen time. He loves finding new interests and exploring related videos and ideas that sit alongside his favourites. When he's feeling super stressed, these guys online - as repetitive and loud as they can be sometimes - really help my little guy when he's feeling tired or super anxious and also fill him with ideas, conversation starters and positivity. I suppose it was always going to be a natural progression for him to then want his own channel and to create his own videos. "Sure poppet!" I exclaimed in response to him asking to create a "Let's Play" type video, with an excited enthusiasm that would soon fade and be replaced with exhaustion and desperation. First came the realisation I had to actually get my crap together to do this. I needed to *gasp* tidy the living room, as no matter where I put Sully and pointed the camera, there was junk. After about 5739275 hours (probs like, 30 minutes) of rearranging I finally found an angle that would work. I then realised, like the good parent I am, that it probably wasn't such a good idea to film him in his pants and put it out for the whole world to see, so I had to convince him into an outfit (Sully wears basic white leggings and a gorgeous hand-made mono cactus t-shirt by the wonderful Molly over at Hey!Moko). Filming wasn't actually too bad. Our first attempt was scrapped as Sully decided to read every single instruction and text painfully slowly and detailed that came up on screen whilst he was playing. We'd hit 10 minutes of footage and he hasn't even started. So along came version 2. We had a quick chat about thinking about what others would like to watch, what his audience would find useful and entertaining and what he'd like to see if he were watching. He understood the concepts really well and decided he wanted to complete the Minecraft tutorial level, which meant he could teach people and have fun too. Filming him as a silent observer and just letting him do what he wanted to do was really eye-opening. He had no worries, no insecurities holding him back like I would do if I were vlogging for the first time, he was just having a complete blast. I decided to let him do exactly what he wanted and then step in to edit the piece into a somewhat watchable video suitable in length and content for YouTube afterwards. This is where the exhaustion and desperation comes in! Honestly, all props to the content creators who do this every day or even just a few times a month. The dedication, funding and time/energy that goes into creating a basic video is pretty immense. I'm a perfectionist so it erks me how wobbly the video is, the fact I can't fix the cracks in sound where I accidentally move a finger over the mic, that I can't for the life of me make an animated intro or outro without signing my cash and life away to a monthly subscription I'm not even sure I'd use, not to mention the lengthy rendering and upload times. I'm pretty computer literate and was able to make original images myself with my graphic design knowledge and it was STILL all really hard. I was determined to do it though, as tucked up in bed was my little 5 year old who's dream it has been for about a year now to have his very own YouTube channel. He really wanted to be a part of the thing that has helped him so much in so many ways and I was going to make that happen for him. And boy am I glad he was tucked up in bed by this point, as sitting in a sweaty heap with a migraine in head, Gin in hand desperately willing my movie maker animation to work with my free dubstep-style sting was definitely not one of my highlights as a parent or role model. We did it though and you know what? I think we might do more! YouTube gets a ton of negative press with screen time being blanket labelled as bad for kids and sadly some content creators abusing their position and making inappropriate videos tailored directly to children filled with their favourite characters being violent or sexual. There's no condoning that at all but with parental guidance and protection, it can be such a creative place to help flourish and grow young minds. If you have a YouTube account and like his video or channel, a 'thumbs up' or subscribe would mean the world to him. Let us know if there's anything specifically you'd like to see us create! Wow!! I had no idea how difficult it was to make a video and get it fit for people to watch. Sully is brilliant and very watchable can't wait for the next one.